Posted by Juliet Traub on Monday, April 13, 2015 in Events, News. Among the greatest challenges facing higher education in the US is the difficulty of creating diverse and democratic campus cultures and confronting, rather than replicating, an array of social inequalities. 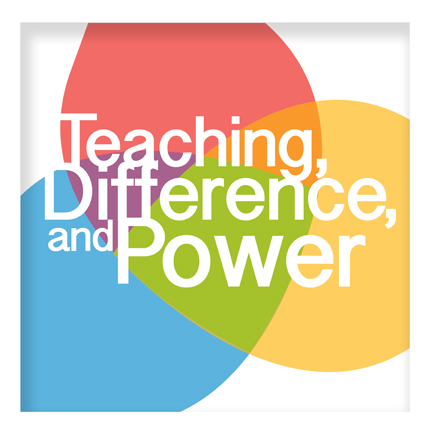 The Center for Teaching selected “Teaching, Difference, and Power” as its annual theme to understand the challenges educators face in negotiating difference and power in their classrooms. Many of this year’s CFT offerings have focused on this theme, including teaching visits, workshops, blog posts, and online teaching guides, as well as faculty and graduate student reading groups focused on the topic of race and teaching. On April 21st, join the CFT and the Enhancing Diversity in Graduate Education Office for an end-of-year symposium in which we’ll share the year’s work done at the CFT and elsewhere on campus to address this significant and complex theme. We will also invite all members of the Vanderbilt community to discuss steps we can take together to develop a more inclusive, equitable, and critical environment for teaching and learning. Find out more about the invited speakers and view the full agenda.